I always like to look to photos for some outfit inspiration myself, so today I'm bringing you 5 more work-appropriate looks that can handle this ever-changing South Carolina weather. I seriously check the weather 5 times before I leave the house because if you're not careful it'll be 80 degrees all day and then 20 degrees at night. In these looks I've incorporated a few of the same not-so-basics from my prior workwear series, as seen here. I've done this to show you just how easy it can be to get use out of these pieces and a few ways to get creative. Enjoy! Pumps: Old (and by she who will not be named ), super great & similar ones by Sam Edelman here. Cardigan: I told you in my last post I have these in a bunch of colors and I was not kidding! This J. Crew Tippi Cardigan is the perfect weight. Tank: This is the same Target tank from the last post as well! Still only $9, or 2 for $16 the last time I was there. Pumps: Old from Banana Republic, but I actually prefer these because I think a pointed toe is more flattering. Top: I was feelin' some pink apparently (when am I not?) This J. Crew Tippi Sweater is also a re-wear from my last post and is still on super sale! Also, one of the lawyers at my work thought that I was a law student when I was wearing this outfit and I thought that was hilarious because that would really make me the most Elle Woods law student ever. 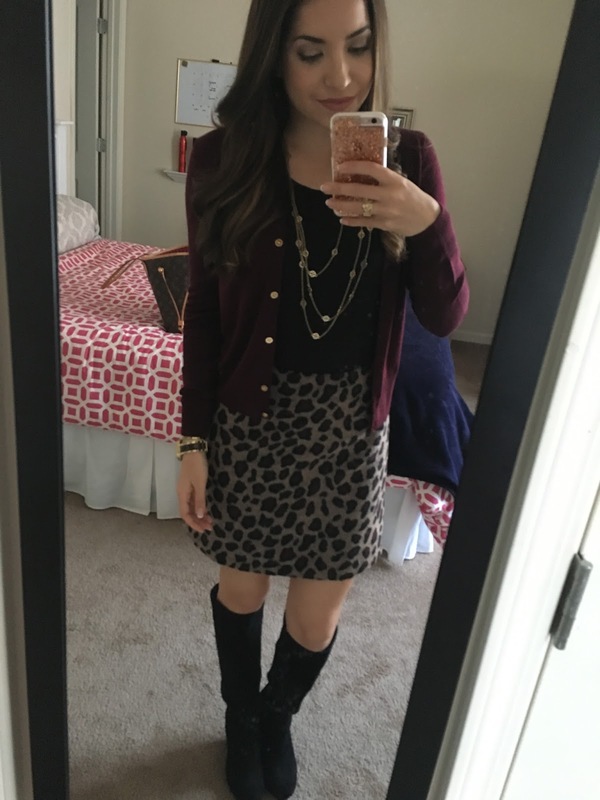 Skirt: Old from Banana Republic (and was on sale for $20! ), but similar here. Top: Old from Marshalls, but similar (and better!) here. 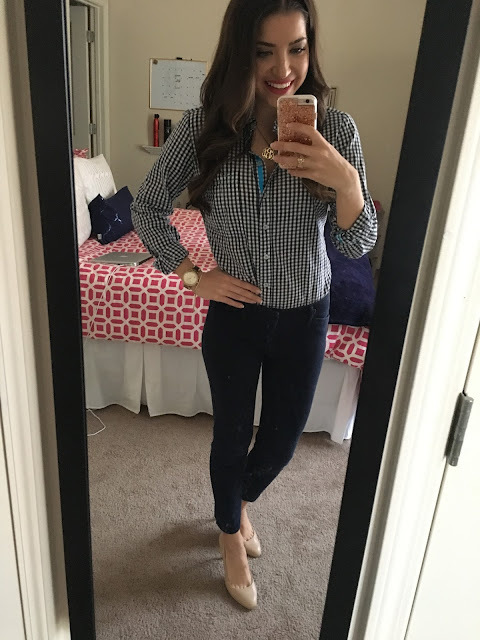 Pants: Another perfect basic! These navy Old Navy Pixie Pants are the bestttt. Pumps: Prefer these, once again. Sweater: One of my many colors of the J. Crew Tippi Cardigan that I love so much. Skirt: A great price on clearance at Ann Taylor now! Boots: Another time wearing my Jessica Simpson wedge boots from my last post. So comfortable!